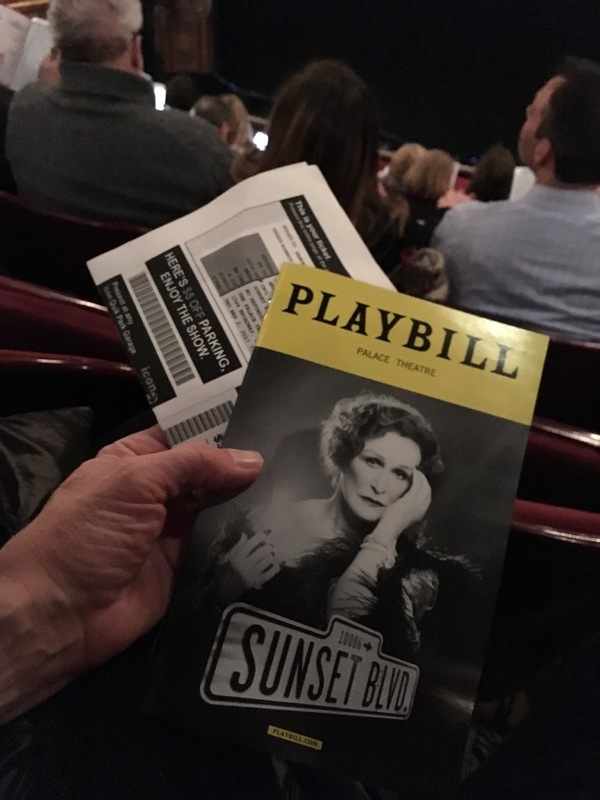 What I saw: “Sunset Boulevard,” a musical, on Broadway at the Palace Theater at Broadway and 47th. I texted the Bacon Provider. He encouraged me to like, bail on the train and drive. So I did. It was a relatively quick drive to the city, followed by a slow crawl while I figured out parking. Never trust navigation software about getting places within NYC. They’re all wrong. What I wore: yellow Fluevog men-styled oxfords, black mini-cord pants, purple Eileen Fisher sweater, dangly gold earrings. Who went with me: my friend S, who also wore purple. How I got tickets/Why I saw this show: S suggested it, and booked them. Where I sat: Mezzanine Row E, somewhere in the middle of the row, between S. and a French-speaking woman with a Québécois accent who was writing things down in a notebook during the production, took out her phone and caught a photograph during the first act and failed to suppress her flash. Things that were sad: we were scolded, as a group, for having and using phones by an irate usher during intermission. The woman next to me, who was the one who took the flash photo, sat calmly eating from her bag of ROLD GOLD® Tiny Twists Pretzels and made no indication that she heard the usher at all. Things that were funny: the original movie version of Sunset Boulevard is a Hollywood classic , directed by Billy Wilder. The dark and slightly campy film-noir inspired many zingers and spoofs over the years, and any time a classic line is uttered in this production the audience burst into cheering. Things that were not funny: when we left, there were a number of pretzels on the ground next to my seat, broken and ground into crumbs. 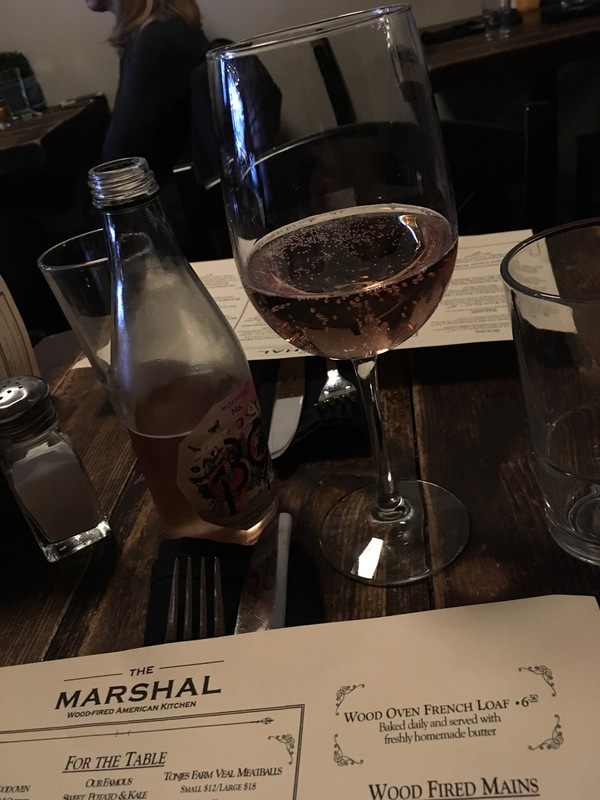 Something I ate: meatballs at the Marshal. What it is: a big, glossy Broadway vehicle for the aging movie star, with soaring music by Andrew Lloyd Webber, a large, full orchestra, and most of the good lines fans of the original film are looking for. 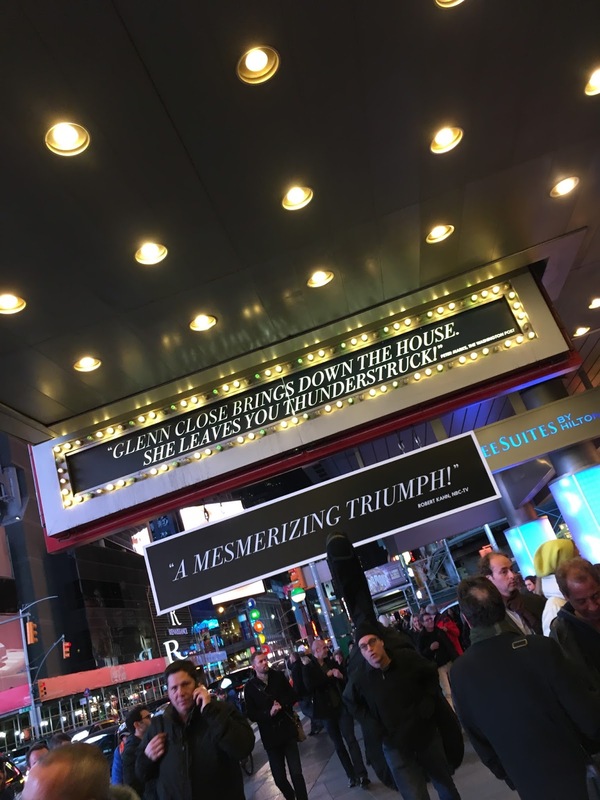 Maybe Glenn Close isn’t quite the singer to deliver the songs as perfectly as they could be sung; certainly it mattered not at all, and maybe was better for her imperfect pitch. 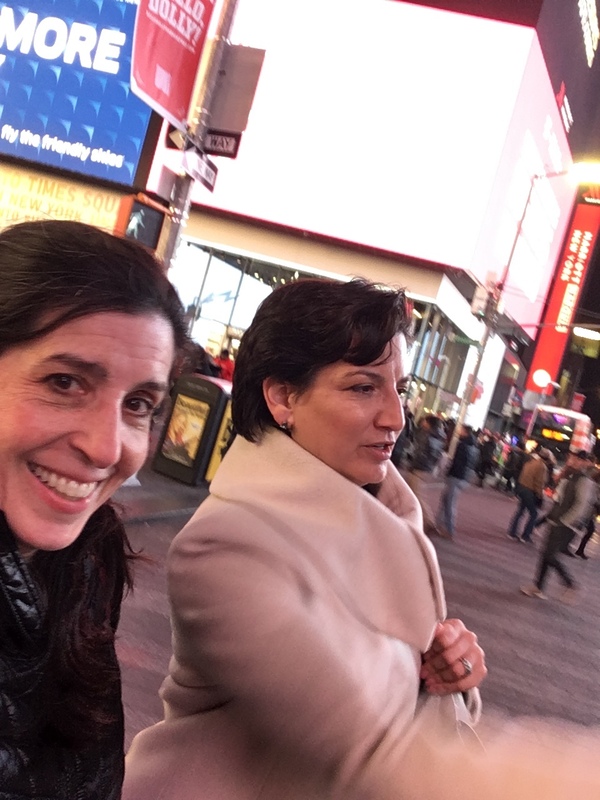 Who should see it: Glenn Close groupies, film-noir aficionados, Broadway buffs, admirers of Andrew Lloyd Webber, Billy Wilder boosters, pretzel-loving Quebeckers. 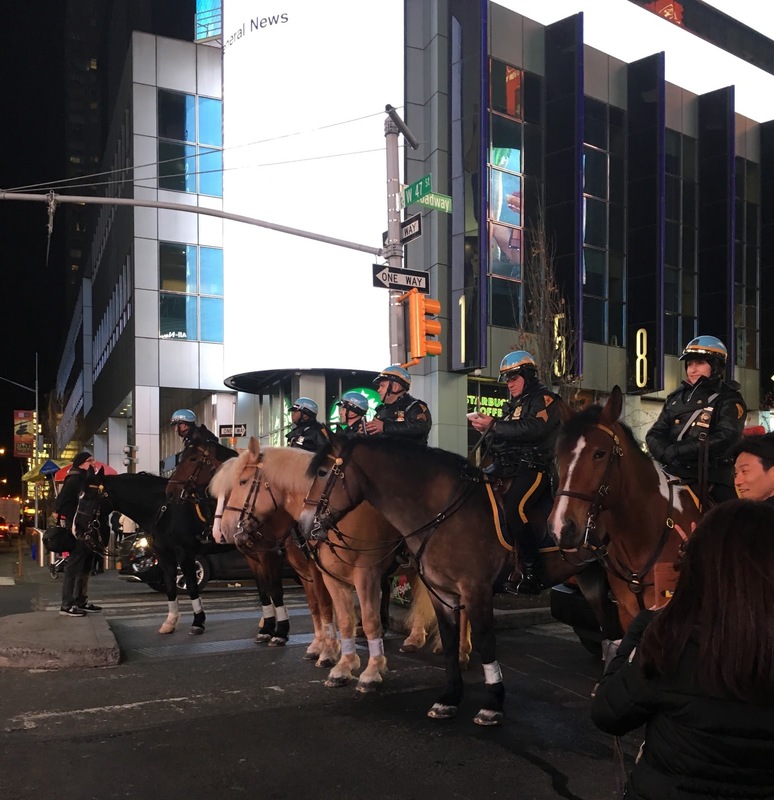 What I saw on the way home: mounted NYPD, but after that, just the road. Next Post I saw "Sweat"